There is a claim that the Indianapolis 500 is the largest single day sporting event for attendance in North America. I was there in 2008 and did witness over 400,000 people pass through the gates and…I was in awe. However, I will argue that the New York Marathon has that beat by a long shot. It is estimated that over 2 million spectators line the streets to watch and lend their support. I believe this surpasses the 400,000-plus. Then add the 45,000-plus participants and you will have the largest single day sporting event in North America. Boston Marathon is a close second. However, whether it is first or second, the event in itself is unique. What makes a marathon more unique then a professional sport, is that all the players (as I will call them), don’t get paid for their participation. In fact, they pay to play or in this case, run. The payment doesn’t just apply to the day event but is an accumulation of expenses that strains the pocketbook over the years of training…new shoes, new clothes, more gels and energy bars. 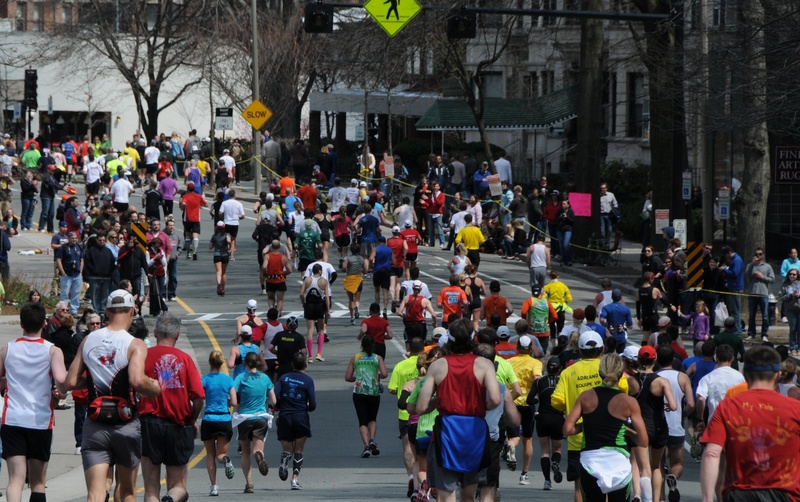 Then there is the expenses dished out to run other marathons to qualify for Boston. And all that can go down the drain if you don’t qualify, or worse, if you do but didn’t enter in time. It is also the time put in. Most of the participants still have to work to make a living. The training occurs before or after work and in the weekends. There is the highs and lows for Marathon runners. When it is all said and done, the biggest high is crossing that finish line.